Level 7, 440 Elizabeth Street, Victoria, VIC. SP takes an inside view of one of Australia's most noteworthy and successful reward programs. 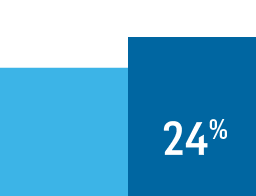 The outcome of ANZ's Elite sales incentive program is compelling - more satisfied customers, higher morale among sales professionals and improved profits. Since the initiative started three years ago, it has evolved from a focus on sales results and rewarding top achievers to an emphasis on teamwork. "In the past, our sales incentive program was targeted at the top 10 per cent of employees," says John Collins, sales performance and incentives manager for ANZ Business Banking. "We needed to change the focus so that everyone was involved." In addition to allocating rewards points based on completed sales, team leaders were encouraged to acknowledge the efforts of employees who may have contributed to the sale and delivery in other ways. "The main focus for us has been about encouraging collaboration and motivating the team to get out and have conversations with customers," Collins says. ANZ's business banking division teamed up with Melbourne-based recognition, reward and incentive company accumulate in 2008 to help inspire a stronger sales and customer-focused culture. Within 12 months, the program had generated a 53 per cent lift in the number of products sold by relationship managers, and a 24 per cent increase in bottom-line growth through cross-selling. The bank also measured outstanding results, linking the performance of relationship managers with verifiable financial outcomes. The impact of the Elite program was recognised with an honourable mention in the Sales Incentive category at the 2009 Incentive Marketing Association's Circle of Excellence Awards in the United States. Now entering its fourth year, ANZ's Elite continues to build momentum and set an example. Collins says that products per customer have increased and sales performance has improved across both the top and middle band of sales professionals. 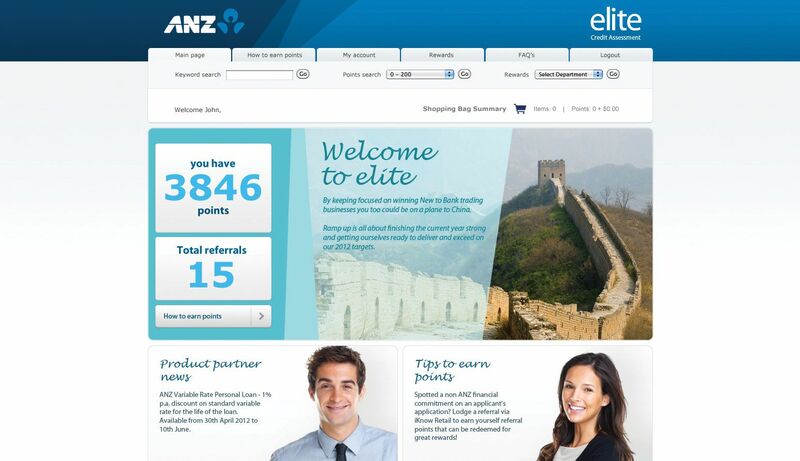 ANZ Elite boasts a range of incentives, including training programs for relationship managers. Points are awarded to salespeople on a monthly, quarterly and annual basis as part of a top-achiever awards program. Leaders also recognise employees who display specific behaviours which contribute to higher sales, including sales support and project staff. A tailored website is used for rules and news updates, allowing sales teams to track progress on live leader boards. Brochures, posters and emails add to the communication mix. The Elite program can be adapted for other organisations and tailored to include an appropriate incentives range featuring anything from luxury trips, jewellery and homewares to gift cards, merchandise and career-advancement opportunities. Alan Heyward, sales and client service director at accumulate, regards ANZ Elite as a "best-in-class" program that demonstrates the power of a sophisticated incentives offering. In part, he attributes the initiative's success to "the progressive mindset of the client, in continually working with us to ensure the program is evolving in line with its broader business objectives." 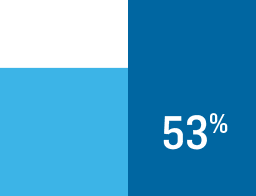 ANZ also benefits from reward and recognition mechanisms to drive results, including peer nominations for performance recognition, sales-tracking functionality, and charting for sales of specific products. Heyward agrees that ANZ's recognition of people in support roles has been a significant part of the program's success. "Product sales continue to be recognised, but the onus is placed well and truly on line managers to drive the right sales behaviours among their teams," he says. Heyward notes that the program is one part of ANZ's strategy to incentivise staff. "To have an impact, it must be used as just one, integrated component of the overall sales compensation package, and must be continually reviewed and revised to ensure it continually meets cultural and business objectives," he says. Find out how a unique program mascot has shaped a culture of regular thanks and appreciation. Improving sales performance, from top to bottom. © Accumulate Loyalty Services Pty Ltd 2018.